DETROIT -- Since it launched 10 months ago, Ford Motor Co.'s FordPass app has been a learning experience for a manufacturer determined to expand into new mobility services. The do-it-all platform, which is available in Canada, has forced Ford to think more like a tech startup than a traditional automaker. It was developed at a blistering pace over 18 months, and is updated every 30 days with software tweaks or new features developed by minds in Dearborn and Silicon Valley. The app's rollout hasn't been perfect: It's currently limited to three models (F-150, Escape and Fusion). Some features Ford initially promised either fell through or have yet to be implemented. But FordPass is generating interest in the brand -- its 500,000 downloads to date include about 100,000 non-Ford owners -- and laying groundwork for potential revenue streams. And while its numbers may pale compared with established tech giants, it puts Ford on the leading edge of proprietary automaker apps. "One year in we're very optimistic," Elena Ford, vice president, global dealer and consumer experience, told Automotive News. "We feel we've launched a global app that's a one-stop shop for customers." The app, which lets users do everything from remotely start their car to find and pay for parking, launched in the U.S. in April and has subsequently rolled out in Canada, Germany, France, the U.K. and China. There's a similar Lincoln Way app for luxury customers. Ford announced the app last year to great fanfare. FordPass was the centerpiece of its 2016 Detroit auto show press conference. But some of the superlatives may have been premature. "It definitely has a lot of potential, and we're going to see similar apps and services from other OEMs," said Sam Abuelsamid, senior research analyst at Navigant Research. "But the potential that was built in there has not been realized yet because the partners really aren't in place." FordPass offers a partnership with ParkWhiz that lets you find and pay for parking in cities. There's also a collaboration with a European-based car-share company to rent cars in the U.K. But the app initially promised much more. 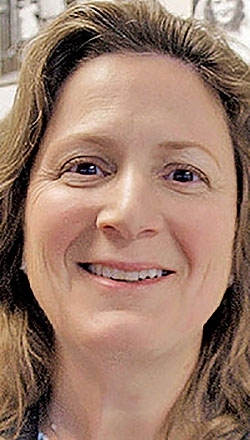 Upon launch, officials touted a rewards program that has yet to materialize. The company said it would collaborate with companies such as McDonald's, 7-Eleven and others so customers could collect points to redeem for "merchandise and unique experiences." 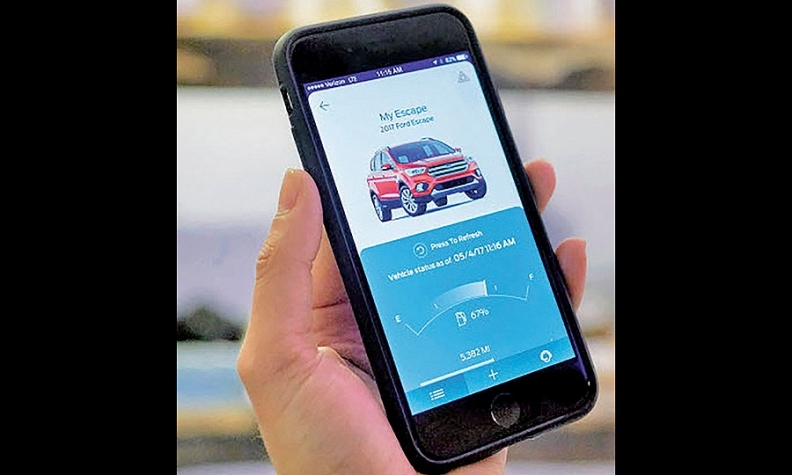 Instead, FordPass rolled out a "Perks" feature that rewards customers with virtual badges for accomplishing tasks within the app, such as registering a vehicle. They're also able to download ringtones and wallpaper. Ford also said it would collaborate with startup FlightCar for a feature that would allow traveling customers to park near an airport for free, and, while away, rent their vehicle to other drivers. But shortly after the app's launch, FlightCar went out of business, and Ford scrapped those plans. "That's a really good lesson learned," Elena Ford said. "We're learning how fast we can do things and how fast we can't do things. We're definitely learning on traffic, parking and how to integrate partners." The automaker still has a long way to go before the app truly becomes the one-stop shop executives dream of. Theoretically, a Ford owner in San Francisco would need as many as three phone apps to use all of Ford's services. If they wanted to hail a Ford-owned Chariot shuttle, they'd need to download the Chariot app. If they owned a Fusion Energi or C-Max, they'd need the MyFord Mobile app to tell them how much electric charge was left in their vehicle. And, finally, they'd need FordPass if they wanted to find and pay for parking, or seek help from a "FordGuide," a person trained to answer any transportation-related questions. Ford is working to blend everything into one package. Earlier this year, it integrated its previously separate Ford Credit app into FordPass and offers a FordPay virtual wallet to pay for services within the app. And Ford said the company is working on integrating Chariot into FordPass near the end of the year. On the service side, the app will soon let customers schedule maintenance appointments with a simple tap, and will provide a vehicle health report upon request that was previously only available through emails from an owner's dealership. Later this year, FordPass will debut on the Mustang, Expedition and EcoSport and will continue to spread across its lineup as new vehicles become equipped with the Sync Connect software. Earlier this month, the company opened the first FordHub, a storefront in New York City that offers interactive brand experiences, including information about FordPass. It plans to add a similar hub in San Francisco. Plans to add hubs in London and Shanghaiare on hold. "We're going to keep making enhancements to give customers the things they want and need," Elena Ford said. The automaker is trying to make a name for itself in spaces occupied by nonautomotive businesses. FordPay is similar in concept to ApplePay; the FordGuides are similar to Amazon's Mayday button; and a number of third-party companies offer parking solutions like the collaboration between Ford and ParkWhiz. But Abuelsamid said it is important for Ford to offer its own, Blue Oval-branded services. "While I think there's potential for third parties to offer these services, the manufacturers are going to be reluctant to enable that because they don't want to share the vehicle data," he said. "Partly, they want to do that to protect their customers' data and also because they see this as a potential revenue stream." The app has required an all-hands-on-deck approach from Ford, involving everyone from product development to IT to legal. Ford also got help from the minds at Pivotal, the San Francisco software provider Ford invested $182 million (CDN $243 million) the last year. Every other week, the FordPass team gathers for a business plan review -- a practice implemented at Ford by former CEO Alan Mulally -- to discuss what is or isn't working. "I think the most important thing we really learned and are very proud of is the real collaboration and communication of the teams working together to deliver a robust product across the world," Elena Ford said. "We had to bring a team together that really had to collaborate and communicate on a regular basis on where we are and where we're going. "It's been an extremely dedicated effort."